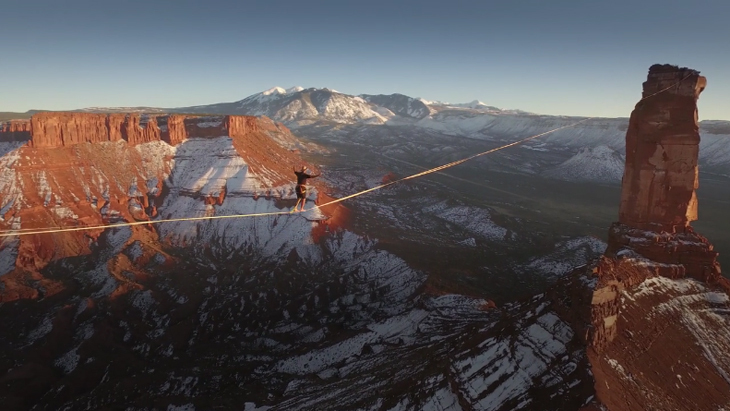 On November 15, 2015, Théo Sanson walked nearly 500 meters on a slackline rigged from The Rectory to Castleton Tower in Castle Valley, Utah, unofficially setting a new world record. Watch more nail biting video of Spencer Seabrooke breaking the free solo slackline record in Squamish, B.C. here.